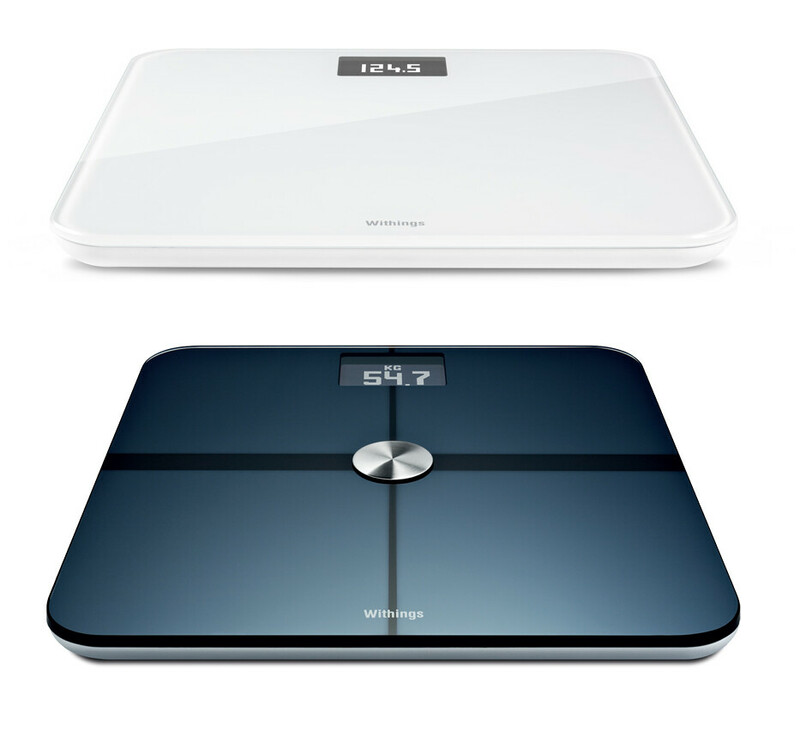 Smart Body Analyzer & Wireless Scale: what’s different? The Smart Body Analyzer (WS-50) is our premium scale. 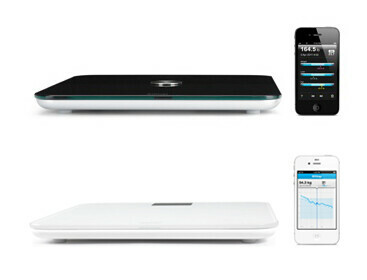 It replaced the Wi-Fi Body Scale, our original flagship scale. 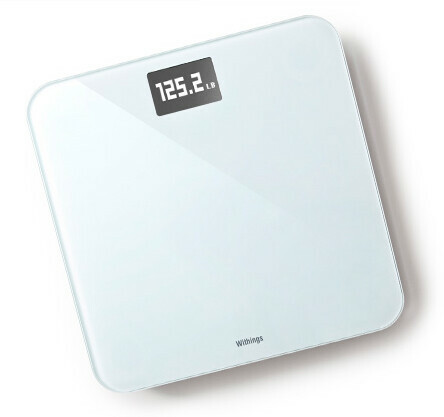 The Withings range of smart scales also offers an entry-level scale – Wireless Scale WS-30, introduced in late September 2012. 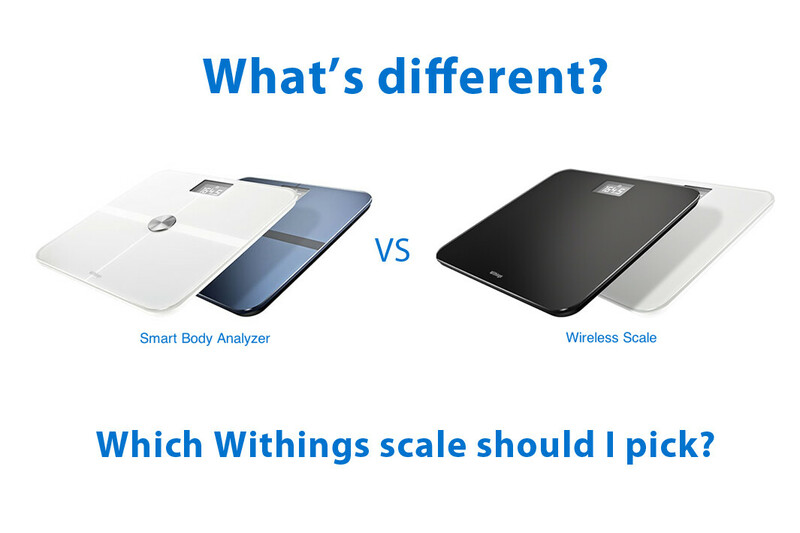 Many of you ask us what the differences are between the Wireless Scale and the Smart Body Analyzer. Whether you are thinking of buying your first smart scale, or just want to be sure which model does what, here is the complete list of differences. What differentiates the Wireless Scale from the Smart Body Analyzer? The WS-30 is our entry-level scale. It’s recommended retail price is €99.95, which is less than the price of the Smart Body Analyzer (our high-end model). The reason why this WS-30 is purse friendly is that, even though it measures your weight and BMI, it doesn’t measure your impedance, the body data necessary to give you your body composition (read the following paragraph for more details). What features does the Smart Body Analyzer have that the Wireless Scale doesn’t have? The Smart Body Analyzer measures weight, and calculates your BMI (Body Mass Index) and fat mass (how much fat – in percentage or in pounds/kilograms – there is in your body composition). The Wireless Scale does not calculate your fat mass. 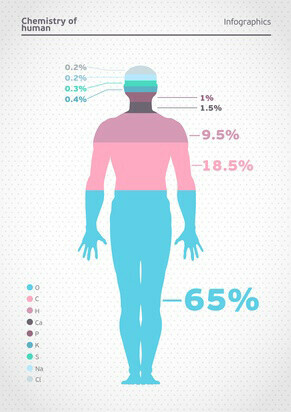 Knowing your fat mass is interesting to have an idea of your risk of weight-related diseases. So is the Body Mass Index. But some say looking at your body fat mass (or percentage) is better because the BMI calculation applies a single equation over a diversity of physical conditions. If you are in the process of loosing weight by exercising a lot, you will build muscle and shake off fat at the same time. The evolution curve of your fat mass will let you see how much fat is “turned” into muscle. Some might even get reassured to see that you can get healthier while maintaining the same weight. The WS-50 is the first scale to measure heart rate through your feet! Just step on the scale – after measuring and displaying your weight and fat mass, the Smart Body Analyzer tells you your heart rate. The WS-50 really is the one-stop health tracking scale as it also packs a CO2-level sensor and a thermometer. As the concentration of carbon dioxide is a good indication of the presence of pollutants in your home, you are able to act upon something that was previously invisible. How about a comparison table listing all the features of our scales, and pointing out which has which so you can make an informed choice? Click here! What features do the Smart Body Analyzer and the Wireless Scale share? Once setup, both scales are ready to be used everyday, right away. No need to switch the power on, no need to calibrate. Just step on it! The Wireless Scale let’s you know if you’re in the right position to do the weighing. If not, it tells you what to do. Both scales work for the whole family. When you step on one of these Withings scales, your trigram pops up shown on the screen. The scales recognize who you are among its recurrent users. Step on Withings scale and let it send your latest weigh-in to your online secured account. Both scales measure weight and calculate your BMI with the same accuracy (100g graduation). Your weight can be expressed in pounds (lbs), in kilograms (kl) or in stones(St Lb). You can switch units of measurement in the “Settings”. 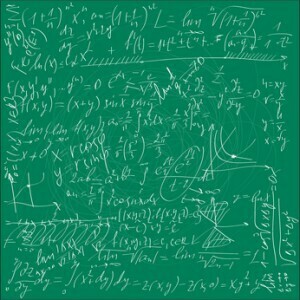 Your BMI (Body Mass Index) is an equation mixing your height and your weight. Its result helps you assess if you have a healthy weight/height ratio. BMI categories: if your BMI is under 18.5 you are considered “Underweight”; from 18.5 to 24.9, you have a “Normal weight”; from 25 to 29.9, you are “Overweight”; and if your BMI is higher than 30, you are in the “Obese” category. Note: if you are a weight-lifter or a top level athlete the general BMI model isn’t going to be as accurate. On My.withings.com, once you have signed in, you can switch “body composition model” in the “Info” tab of the dashboard. Easy-to-understand graphics which let you track your weight through time. Our app even creates a smoothed out curve based on your weight trackings, leveling peaks. We recommend you consider this curve to have a clear understanding of the trend your weight if following and to stay away from the emotional roller-coaster of day-to-day monitoring. Note: in case you are wondering, both scales work exactly the same with our compatible partner apps and services (such as RunKeeper and LoseIt). What’s the difference between the white WS-30 Wireless Scale and the black version? You have all the info to pick the right Withings scale for you. time to head to our web store! Here’s a previously published article about the Wireless Scale, with many more facts. 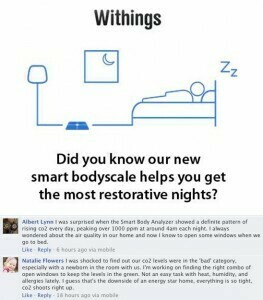 If you have any other questions about the differences between the Wireless Scale and the Smart Body Analyzer, please leave a comment below and we will get back to you.